Aburae is the traditional ingredient of Hida region. 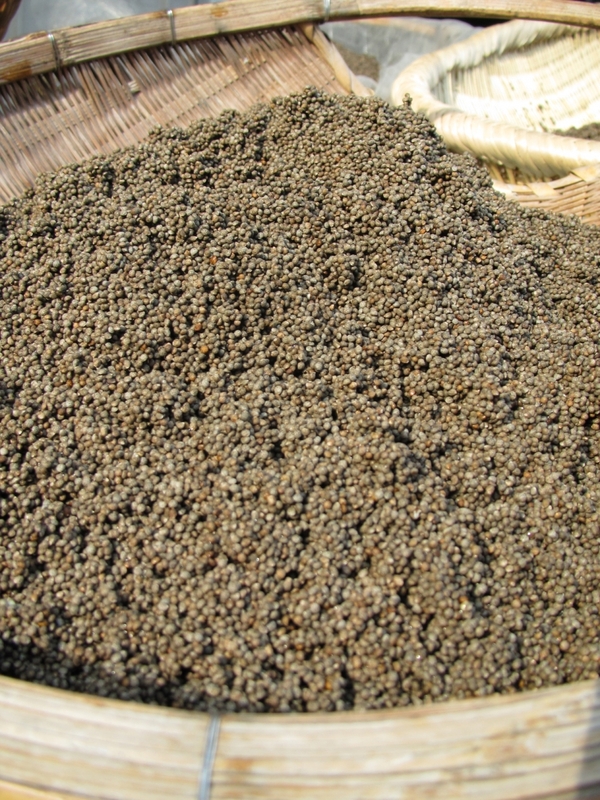 The official name of Aburae is Egoma – or Perilla seed in English, a type of wild sesame. It is used as a dressing on dishes, for instance on skewered rice-cakes called “Gohei-mochi”, where the rice-cakes are covered miso or soy sauce is used along with Aburae. The oil from the seed came into human use more than 5,000 years ago. In the same period, people used sesame oil in a similar fashion. But because sesame oil congeals easily in cold temperatures, it has not been suitable as lamp oil, so in a place with cold winters such as the Hida region Aburae oil has been the best choice. And people still grow it for that very reason. Though, the greatest feature of Aburae oil is that it is rich in alpha-linolenic acid (ALA). It contains more ALA than rapeseed and soybean oil, and it has a hundred times more than common sesame oil. There are many benefits that come with ALA, since it reduces neutral fat and not only prevents lifestyle-related diseases, such as cardiovascular ones, but it is also hard to convert into body fat. It is also effective in battling hay fever, atopic dermatitis (a type of eczema), and asthma. 1. A grain fan is used to divide the useless plant parts and the Aburae seeds. What falls close makes a fruit edible, and a light thing is used in order to extract oil. 2. The seeds and some other parts are then first filtered through rough-meshed sifter, then increasingly fine ones to further separate the seeds from the parts that are not needed. 3. Next, those unwanted parts are taken out with tweezers. 4. Further sorting is done by soaking the parts in water so that heavy unwanted parts like stones sink to the bottom. It is then washed three times where remaining dirt and debris are sorted out. The washing and separating process can be done by a machine, but by doing it manually one does not risk that the flavor and nutritional benefits of the seeds are spoiled. Aburae is most commonly used in traditional cooking, but the younger generation is not used to Aburae so the production quantities have gone down. 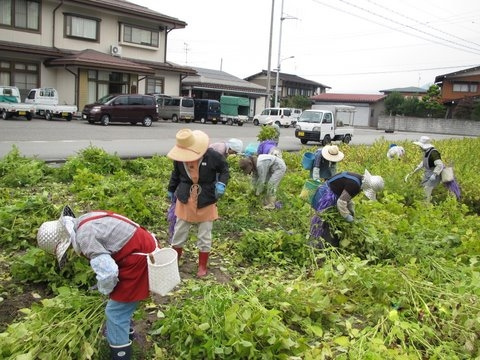 To counter this, local volunteers named “Egoma Ladies” are growing the plants by using abandoned farmland for the purpose of a local contribution from ten years before. They are also teaching how to grow and use the plants. Aburae cultivation is also a good measure against unused farmland as it binds nutrition in the soil. As more people are growing accustomed to Aburae oil, it now competes with the more common oils used in the traditional dishes. The production volumes were decreasing steadily, but the effort made by passionate local volunteers has seen the production of Aburae increasing again.